Comfortable material to gently hug wearer. Product runs true to size based on child sizing, while also allowing multi-year use for growing room. Durable vest that will last for years, even with many uses. Vest is not too heavy, but not too light, making it the perfect feel for those who need a gentle support. Agreeable look encourages children to want to wear the vest. Vest runs expensive compared to other weighted vests for children on the market. Smaller children may struggle to fit into vest until they are older. This is the summary of consumer reviews for Weighted Compression Vest by Fun and Function's. The BoolPool rating for this product is Very Good, with 4.20 stars, and the price range is $20.00-$90.00. This Weighted Compression Vest is a unique product personally tailored to children who could use an extra hug or gentle pressure to calm their nerves. This vest is designed with children in mind, so sizing runs pretty well to size based on a small child, while still leaving growing room in the durable yet fitting material so users can enjoy the product for years to come. 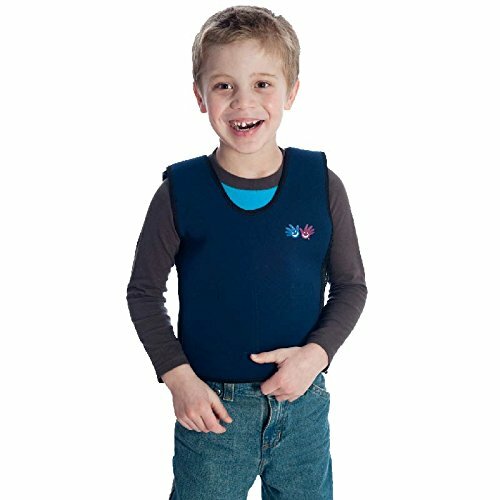 Customers with children who have mental disabilities, autism, brain injuries, and more say their children find ultimate relaxation and comfort after minutes wearing this vest that has just the right amount of firmness. Some customers say the product may run a little big, and depending on the size of the child, may run too big even with the smallest size offered. However, the product has buckles and straps that make the vest adjustable to a growing child at any stage of their life. Customers rave that although the price is steep for a weighted vest, it is durable enough for their kids to wear to school, to parks, or even just at home, and still stay brand new for years to come. Bought this compression/ weighted vest for a boy with a brain injury. I bought one for my grandson knowing he'd used one in therapy. 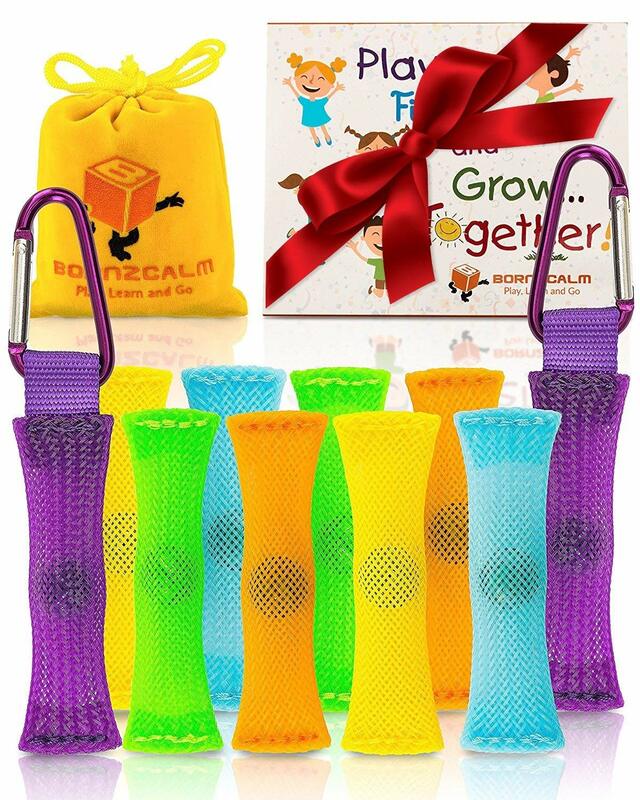 I bought this for my nephew who's sensory processing disorder and it definitely helps him calm down. I bought it, and as soon as it arrived, i showed it to my 6yo daughter (contradicting diagnosis, some drs day aspie some say neurological damage). It's great quality just runs large. He uses it at home when needed and it works great!. So the compression piece doesn't work so much till he's bigger. Highly recommend for any ADHD kids. I'd highly recommend this vest. The therapist recommended a weighted compression vest. Just as desribed.I was very satisfied and would recommend it. Would recommend for any parent of a child with sensory needs. If you've the chance to try it on I'd highly recommend it so you're not just out of the money like I'm. One of my children is Autistic and he absolutely LOVES the weighted vest at his Occupational Therapist. The weights were removable, the book was a great addition. She's ADHD so she's always on the move. It does get stain easily and the stains are almost impossible to remove. My son put it on and LOVED it from the first minute. best its a bit short than the picture helped my son lots. This definitely helps my son calm down and regulate his emotions. This's been amazing for my son. My son is 5. He's autistic. He usually calms down within minutes and sits to read or do a puzzle. Pressure and weighted vest in one. He even said he'd wear it to school and didn't care if anyone noticed it. My daughter wears a 5 or 6 shirts and I got her the small. As an OT, I know the power of weighted and pressure vests. GREAT QUALITY, TRUE TO SIZE AND DELIVERED IN A TIMELY MANNER. We ended up returning this size and ordering one size up. I ordered small size for my boy, 4 years and 7 months. We measured our son and thought the size extra small was the best fit. Only gave it 3 stars because the seller doesn't mention how the sizes compare to regular sizes, therefore we got one that was a large which is to large for our child now. Great product for kids with sensory processing issues. Very pleased with Fun and Function's products. I'd to exchange for another size and they're great!. Replacement vest for autistic grandson in larger size. This fit my son very well, is well made, and works wonders. Very nice and has worked so well for my son!. It's helped calm down my son's two year old autistic son. It was worked great for my 3 year old son. It's like a big hug for my son. My son put in on and said, "It feels like a hug!". Our son's Occupational Therapist suggested this as part of his sensory diet and he immediately became more settled in his body, wears it to school sometimes and school bought it for him too. This's well made with sturdy seams and Velcro. My son has autism and is constantly jumping, hopping, running, and never seems to be able to calm down as soon as we put this on totally different kid. This vest has been very useful for my son who's ASD and SPD! Fits great, and will grow with our son well. Great product, works well for my autistic son. This vest has helped my 4 year old son with autism, focus and feel secure. My son has some sensory processing issues and his Occupational therapist recommended this jacket. I love how it fits my son. my son is having ADHD and his teacher recommend him to have this.it helped him to st and relax and do his work.he loves wearing it. My son actually likes to wear this vest. My son doesn't like the vest material and refuses to wear it. Helpes my son comfort himself better but he gets extremely sweaty in it. It fits very well, seems true to size and easily adjustable. Fit was great and I love that the weight can be adjusted. this was a perfect fit for my special needs son... the weights work great--- his PT was very impressed---especialy @ the cost. Fit well but not heavy enough. Good fit, easy to use. Great fit, and material quality. Fits perfect for my son, easy to store and easy to take where ever needed. Weight is added or decreased by adding/removing weighted bags. Perfect fit for a 2year old.